Dr. Lester is a clinical psychologist in practice in Colorado and Texas. He has specialised in Personality Disorders for over 25 years, and has been a participant in multiple studies that form the basis for the DSM V revision of the section on Personality Disorders. Dr. Lester is considered the most in-demand trainer on the topic of Personality Disorders, and has trained more professionals on the topic than any other individual. He has presented over 2,000 trainings on Personality Disorders, with more than 100,000 professionals in over 130 cities attending. Dr. Lester has served on the graduate faculty of The University of St. Thomas, and is a member of the American Psychological Association, the Texas Psychological Association, the Colorado Psychological Association, and the Houston Psychological Association. 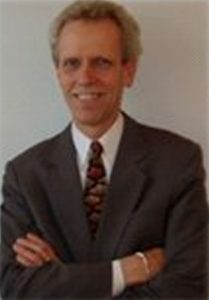 He is the author of seven books, including the most widely read front-line clinical manual “Personality Disorders: Personality Disorders in Social Work, Mental Health, and Health Care”.